If you want an introduction to literature from around the world, much of it hardly known to English speakers but often celebrated in its country of origin, you might like to keep an eye on Pushkin Press’s list. Willem Frederik Hermans’ An Untouched House is a fine example. Set towards the end of the Second World War, it sees an unnamed soldier stumble into an abandoned palatial house with farcical consequences. Our Dutch narrator spends much of his time trying to decipher the orders fired at him by the man in charge of the shambling band of Red Army partisans to which he belongs. One summer’s day in a German spa town under bombardment, he sets of purposefully to fulfil yet another set of instructions he doesn’t understand, finding his way into a beautifully furnished house, abandoned yet with soup simmering in the kitchen. He convinces himself that he’s to check the house for booby traps but enjoys the luxury of a long bath, shaves to the sounds of bombs dropping and peruses the contents of the wardrobe as vehicles race past the house. Before long he’s settled in, passing himself off as the owner’s son when German officers politely requisition the house. Soon a routine is established and a cat adopted, then the house’s owner turns up. Published in 1950 in his native Holland, Hermans’ book is a stark, funny and graphic exploration of the folly of war, a favourite theme of his so Cees Nooteboom’s enlightening Afterword tells us. In clipped, crisp prose, Hermans steers his readers through the confusion, chaos and constant threat that accompany battle into a brief haven of peace. The comic set-up, bordering on slapstick as our quick-thinking narrator adopts whatever persona gets him out of trouble, makes the ending of this brief novella all the more bleak. Bravo Pushkin Press for seeking out yet another international gem. This entry was posted in Reviews and tagged An Untouched House, David Colmer, Dutch fiction, Dutch fiction in translation, Pushkin Press, Second World War fiction, Willem Frederik Hermans on 27 July 2018 by Susan Osborne. This is one of those novels about which there was a good deal of excited chatter in my neck of the Twitter woods so I approached it with a degree of caution not helped by the title which seemed a tad overblown (sorry!) but turned out to have a perfectly good explanation. A few chapters in and any concerns that it might have been overhyped were quashed. It opens in 1943. John Easley finds himself marooned on the Aleutian island of Attu after his plane has gone down. One of the crew, a young man barely out of his teens, has survived with him. Conditions on the island are atrocious – dangerously cold, little or no shelter or food besides a cave and what they can forage. Easley is a journalist who has finagled his way round the news blackout surrounding the Japanese-occupied islands, donning his brother’s Canadian Air Force uniform and assuming his identity. Young Karl makes clear his resentment but realises that a better chance of survival lies in unity of purpose. Meanwhile, Helen who parted with Easley on bad terms, is desperate to find the whereabouts of her husband, conceiving a plan to travel to the Aleutians to look for him despite many obstacles put in her way. Their stories are told in alternating narratives as Easley grapples with loneliness, starvation and a brutal environment while dodging the Japanese forces just a stone’s throw away, and Helen makes her way from Seattle to Alaska, posing as an entertainer performing for the troops, casting around for clues, never giving up. I’m a huge fan of the dual narrative. Well managed it’s a clever device for instilling suspense but it’s all too easy for it to fall flat on its face. Brian Payton deftly avoids this, balancing Easley and Helen’s very different stories beautifully while slowly inching them together. The writing is restrained, a little clipped and largely unadorned which suits his subject well, yet there are phrases that shine out – plovers ‘dutifully march along like businessmen late for a meeting’, ‘the ache in his jaw bullies all memory’ when Easley tries to distract himself from his rotten molar. Both their plights are intensely moving: Easley finds previously unthinkable ways to survive, both physically and emotionally, while Helen steadfastly believes her husband is alive, despite all evidence to the contrary, remaining heroically determined to find him no matter what it takes. There is a coincidence at the end – which, of course, I’m not going to reveal – that feels like a step too far but given all that has gone before it’s easy to forgive. So, I’ve read another war novel despite saying that I wouldn’t for some months although it has to be said that the intensity of Easley and Helen’s stories are such that the war becomes something of a side-show until the novel nears its end. I knew little or nothing about the Aleutians, their part in the war or otherwise, I’m sorry to say but I learnt that the indigenous people were treated shamefully, interned in the same way as the Japanese Americans memorably portrayed in Maureen Lindley’s A Girl Like You. Who says fiction doesn’t teach you anything? 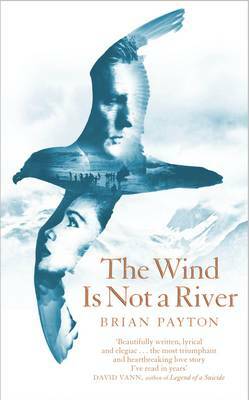 This entry was posted in Reviews and tagged Aleutians, Attu, Books, Brian Payton, Mantle, Second World War fiction, The Wind is Not a River on 21 February 2014 by Susan Osborne. There’s an awful lot of war around at the moment. Sadly, the real kind is always with us but it seems to be more widespread in fiction than usual, an inevitable result of the First World War centenary I suppose. Having already reviewed Anna Hope’s Wake and Helen Dunmore’s The Lie I’d sworn off war novels for a few months but Sophie Hardach’s Of Love and Other Wars caught my eye. I’d enjoyed her first novel so much that I dodged my own rule – already broken as I’d started Pat Barker’s Toby’s Room which is excellent but I’m sure you’ve read more than enough reviews of that to want another. Hardach’s novel is about the Second rather than the First World War and although, as you’d expect from its title, there are number of love stories running through it, its central theme is unusual: conscience and pacifism. Beginning in 1937, Hardach’s novel takes her characters up to the day the war in Europe ends in 1945. Paul and Charlie Lamb are Quakers, the sons of a father imprisoned in the First World War for his conscientious objection. One year older than Paul, Charlie is sure of himself and his pacifist beliefs, pressing Peace News on all who will read it but a reluctant Quaker for all that. Paul, less articulate, is more muddled in his thinking and finds his pacifism challenged by Miriam Morningstar, the daughter of his Jewish statistics teacher who is called back to the lab where she worked as a crystallographer decades ago to analyse the effects of the bombing campaigns. Paul and Charlie’s friend Grace works with kindertransport children alongside Max, a Jewish refugee from Vienna who is lodging with the Morningstars. As the war unfolds Hardach explores the moral dilemmas of war and pacifism through these characters and their stories. If this sounds a little clunky that’s my fault: Hardach’s novel most certainly isn’t. Indeed, she’s a master of subtlety in the ‘show, don’t tell’ tradition. Max gently corrects Grace’s rebuke of his apparently draconian approach to the children’s table manners explaining that he is only trying to do what their parents would have wanted for them. Paul and Charlie each take a different stand, both equally challenging and courageous, while Miriam’s passionate determination to do something for the war effort is later counterbalanced by her mother’s guilt at cheering her brothers off to the last war and her work in this one. It’s a novel with serious themes but it’s also a story well told. Hardach’s characters are vividly real, and her treatment of them compassionate. A box of tissues might come in handy. 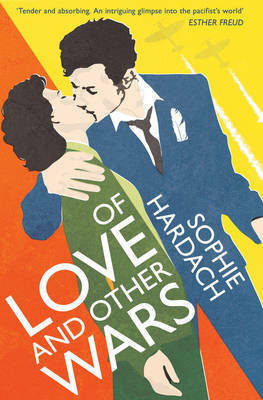 This entry was posted in Reviews and tagged Books, Of Love and Other Wars, Second World War fiction, Simon & Schuster, Sophie Hardach on 7 February 2014 by Susan Osborne. Three German soldiers – Bauer, Emmerich and an unnamed narrator – stride out into the frigid Polish winter, their minds on keeping warm and their empty stomachs. They’ve missed breakfast, determined to avoid the daily round of executions by volunteering to hunt down Jews and bring them back to the camp. Emmerich frets about his son, enlisting the help of the other two to try to get him to stop smoking. Bauer occasionally bellows out advice while our unnamed narrator muses on last night’s dream of the three of them riding on a tram. Despite the constant gnawing hunger, the dangerous numbing cold anything is better than serving another turn as executioner. When Emmerich spots signs of a hideout, the three flush out a young Jewish man, a prize which will ensure that they will be sent out to hunt again tomorrow rather than man the firing squad. Bauer reveals that he’s stolen enough food to make soup and spotting an abandoned cottage they set about lighting a fire, interrupted by the arrival of a Polish hunter and his dog. What ensues frays the bonds between the three soldiers, opening divisions between them and forcing them to face the moral dilemma of what to do with their captive. This short, spare novella will take you little more than two or three hours to read but it will remain in your thoughts for some time. Hubert Mingarelli’s prose, expertly translated by novelist Sam Taylor, is stark and bare: no words wasted on distracting descriptions. We learn that the soldiers no longer share their dreams so often filled with the horrors they’ve witnessed. Hunger and cold are viscerally described. Bauer and our narrator treat Emmerich’s anxiety with touching concern. The narrator hates the little maternal touches he finds in many of his quarry – an embroidered snowflake on a cap, a ribbon – bringing him face to face with their humanity. We humans long to see the world in black and white – it makes things so much easier – but the genius of Mingarelli’s compassionate novel is to show ordinary German soldiers, horrified by what they have seen and done, trying to find ways of coping while managing to retain their humanity. It’s a triumph for both the novelist and the translator. 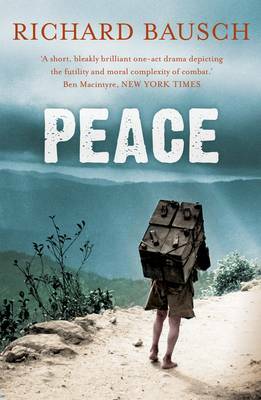 Almost as soon as I started reading A Meal in Winter I thought of Richard Bausch’s Peace, another slim, understated novel that speaks of the horrors of war. This time three American soldiers pick their way down a mountainside in the freezing cold after their sergeant has murdered a young woman in the final days of the Second World War. We’re about to be deluged with novels about the First World War given next year’s commemorations but I wondered if anyone had any recommendations of novels that have already stood the test of time. Birdsong, The Ghost Road and All Quiet on the Western Front spring to mind. Anyone know of any others? 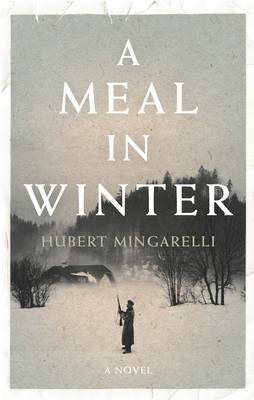 This entry was posted in Reviews and tagged A Meal in Winter, Atlantic Books, Granta Books, Hubert Mingarelli, Peace, Richard Bausch, Second World War fiction on 13 November 2013 by Susan Osborne.